A Supreme Court decision on an appeal against High Speed 2 by Bucks County Council and others is still awaited . Chiltern council leader Nick Rose said the failure to make a Major Projects Authority report on HS2 public is “morally corrupt”. The report is believed to suggest that HS2 is rated “Amber-Red” – in danger of failing. Rose said: “We'd like to express our continued disbelief at the stifling of democracy in this way." 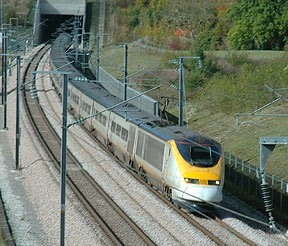 • Powers to secure planning permission and build the first phase of HS2 from London to Birmingham. • Rights to compulsory purchase houses and land. • Powers to work on listed buildings and monuments, demolish buildings in conservation areas and divert rights of way, highways and waterways. The government launched a consultation on the 10,000 page Environmental Statement. Closes 24 January . The timetable allows just 56 days for responses, including the Christmas break, sparking claims from CPRE and others that the consultation will breach the Aarhus Convention . Ray Puddifoot, vice-chairman of the 51m group of councils, which oppose HS2, said: “By launching something as important as this just before the Christmas holidays and cutting down the time we have to respond shows a level of desperation and a practical contempt for public consultation” . The Telegraph reported on Great Missenden villagers‟ first encounter with the consultation documents. Clause 47 of the Bill will give the government “unprecedented” powers to seize land near the line for regeneration and development. The clause states that if the Secretary of State “considers that the construction or operation of phase one of High Speed Two gives rise to the opportunity for regeneration or development of any land, the Secretary of State may acquire the land compulsorily”.